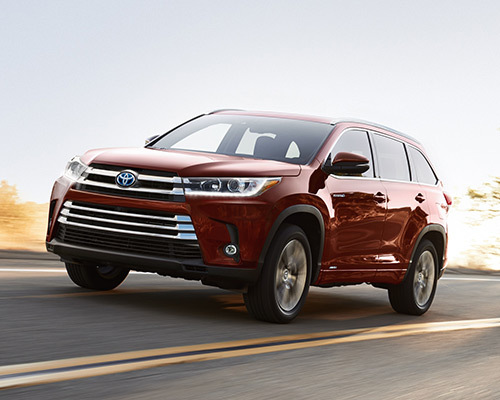 Catapult your road excursions and family trips to a new level, while upping your appeal in Westbury NY, by buying or leasing the exciting new Toyota Highlander. You will have the ability to easily traverse expansive sojourns and experience uncharted destinations within this mid-size crossover sport utility vehicle (SUV). 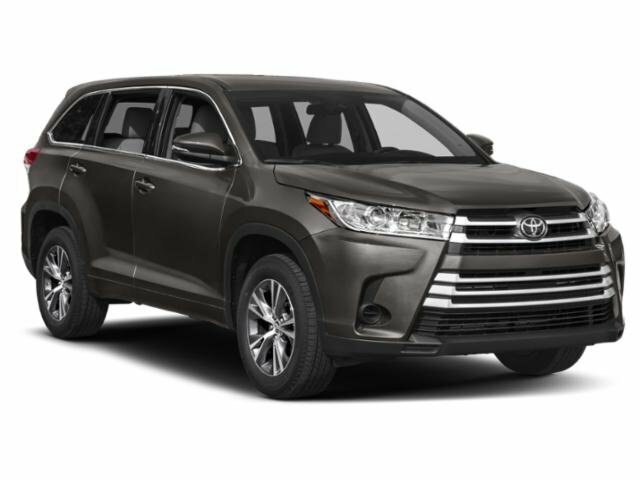 If you prefer piloting a vehicle that runs like a luxury sedan, features minivan functions, and claims a ton of cargo room, then Westbury Toyota presents the Highlander as your optimal option. Highlander’s unique style was updated for an even more dazzling body, like the front fascia showcasing a variant-specific, premium grille and attractive headlights with built-in Daytime Running Lights (DRL) as an upgrade. 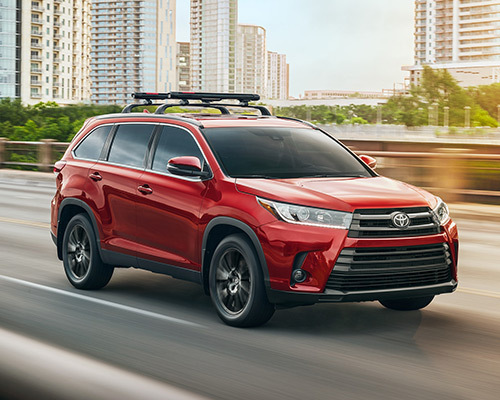 Integrated LED taillights for an additional line of sight, wider alloy rims, and sound-dampening insulation materials beneath the floor are all an important part of each new Highlander. A leading component in decreasing the irritations of vacationing is ensuring each rider stays cozy, which Toyota totally understands. With 60/40-folding third-row seating you can recline, seats offered in high-grade leather trimming, exquisite materials, and an available panoramic moonroof, Highlander offers up high-end amenities in a roomy setting for both riders (as many as eight altogether) and gear alike. As you can tell, comfy journeys are completely waiting for you and your friends. Your purchased or leased Highlander has the ability to not just lead you wherever the road leads, but to also aid you in maximizing gas efficiency as you travel around Westbury. Toyota wonderfully paired an upgradeable 3.5-liter (L) V6 direct-injection motor and Direct Shift-8AT (eight-speed automatic transmission) to heighten torque and horsepower, optimize acceleration, and facilitate hauling up to 5,000 pounds (lbs.) when your escapades turn out to be immense. You can likewise tackle cross-country routes with the help of Dynamic-Torque Control All-Wheel Drive (AWD). Leveraging options like warmed power outside mirrors, a back hatch window that pops up, and a powered driver’s seat you can adjust eight assorted ways, LE or LE Plus places cruising securely around Westbury in your hands. Furthermore, check out important stats on a 4.2-inch (in.) LCD Multi-Information Display in color and charge many mobile devices thanks to five USB ports located all over the interior. When you desire to be surrounded in opulence, XLE and Limited match your demand with heated front seats trimmed in leather, middle-row window sunshades that retract, and a rear-storage tonneau cover. If sport-tuned suspension, 19-in. machine-finished alloy rims with myriad spokes, and a gloss-black grille are what you are looking for, SE provides the sporty aspects you demand. Hybrid LE, Hybrid XLE, and Hybrid Limited make choosing the longer, scenic route and minimizing how frequently you stop for fuel a real possibility. These hybrids, earning the distinction of Super Ultra-Low Emission Vehicles (SULEVs), deliver 30 miles per gallon (mpg) in the city, contain EV Mode for electric motor use exclusively, and tow a total of 3,500 lbs. to equip you with both functionality and fuel economy. Never again will you deal with the frightening cry of “How much longer?” from the rear of your Highlander. Buying or leasing the most recent Highlander gives you the choice of a Blu-ray Disc viewing system that includes a nine-in. display, RCA jacks, a portable remote, and two cordless pairs of headphones. On top of keeping the kids engaged and content, you will be able ensure your focus remains on the street. Trimming down on the frequency at which you fill up in Westbury is one more Highlander advantage. For gas-centric versions, the Stop and Start Engine System (S&S) effortlessly turns off the engine anytime you end up idling to decrease fuel consumption. Letting your foot from the brake restarts power promptly for efficient operating. 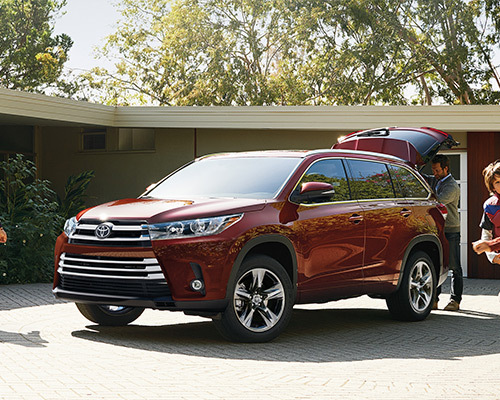 No matter where you may journey, Toyota Highlander possesses the digital tech you require to stay synced up with the online world and listen to your most enjoyed tracks. As part of the Entune Audio setup, a high-resolution touchscreen screen (six-in or eight-in.) syncs you with verbal instructions, hands-free calling, streaming music, and tons more. Upgraded models also feature a variety of well-known programs, integrated turn-by-turn directions, and a free limited membership to SiriusXM Satellite Radio. At this point, it should stand as no surprise why shoppers in Westbury NY end up picking the impressive Toyota Highlander for their future excursions. Drop by our inviting dealership immediately in Westbury NY for your ideal crossover SUV.